John Musgrave paid tribute to the late Mike Shaw Sr. at the Lincoln Day Dinner. Also pictured, dinner emcee and Post #23 Commander Miles Epling and U.S. Senator Shelley Moore Capito. U.S. Senator Shelley Moore Capito was the guest speaker at the Lincoln Day Dinner. The Lincoln Day Dinner had a full house of attendees this year. 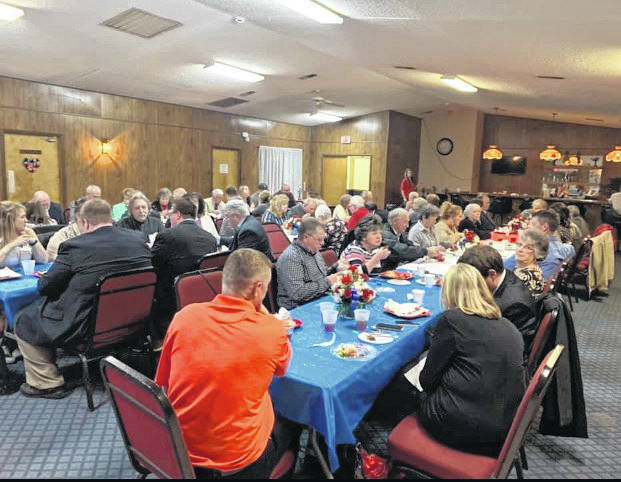 POINT PLEASANT — This year’s Lincoln Day Dinner brought forth a full house of attendance. Miles Epling, commander of American Legion Post #23, was the emcee for the evening and U.S. 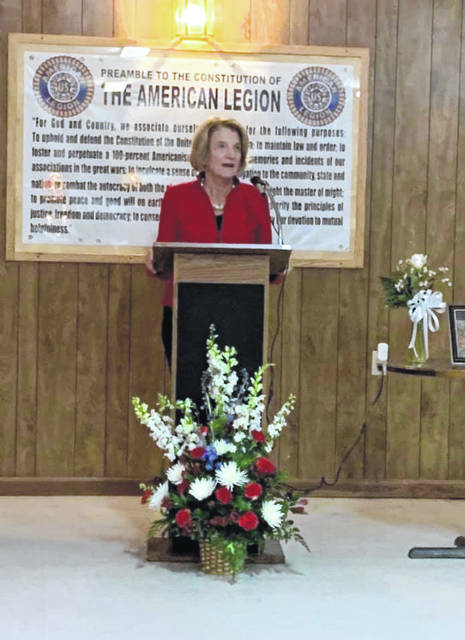 Senator Shelley Moore Capito was the guest speaker, talking about her support of President Donald Trump and Republican Party policies. The dinner was dedicated to the late R. Michael Shaw, who passed away on Jan. 21 at the age of 75. Some of Shaw’s career highlights included: Prosecuting Attorney (1968-72); leadership of Shaw Law practice from 1973 until semi-retirement in 2018; West Virginia House of Delegates, 1973-74; West Virginia Senate, 1979-83 and 1983-87; Chairman, Workers’ Compensation Board of Appeals; Commissioner, West Virginia Board of Realtors; Member, West Virginia Public Service District; President, Mason County Republican Committee (10 years). 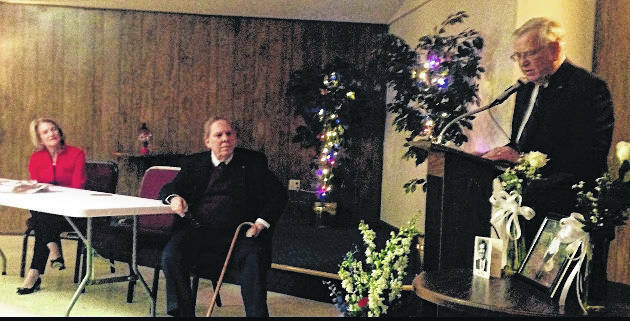 John Musgrave, executive director of Mason County Development Authority, paid tribute to Shaw with a memorial speech, as he grew up with Shaw and was a friend of his for 50 years. GOP faithful, the late Lisa Thorne and Donna Akers, were also remembered. Leadership from both the state and federal government were in attendance including Congresswoman Carol Miller and West Virginia Attorney General Patrick Morrisey, both of which spoke at the dinner as well.